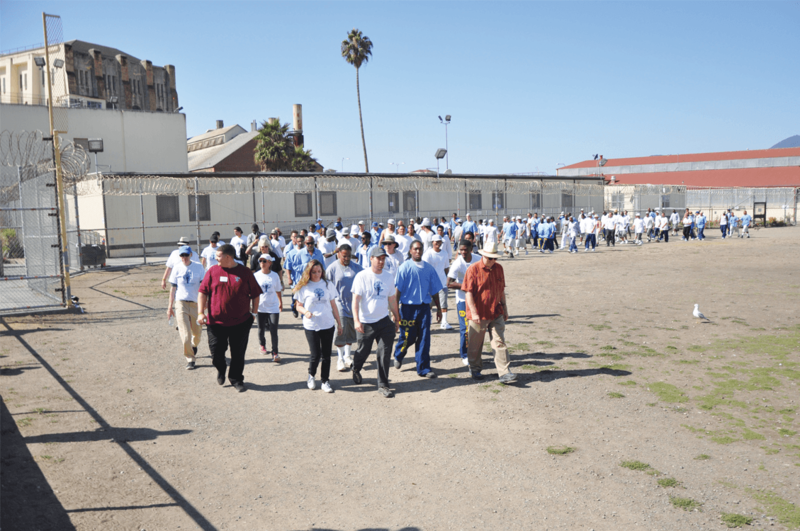 San Quentin’s Kid CAT group and the Project Avary organization are preparing for the Second Annual “Walk for the Next Generation” on the prison’s Lower Yard. The event brings support and solidarity to children of incarcerated parents. The men of San Quentin march alongside Project Avary alumni and staff to raise money that provides long-term aid for the children. “We intervene early in the lives of kids at the ages of 8 to 11, and we make a long-term 10-year commitment to each child and family,” said Zach Whelan, Project Avary’s executive director. Project Avary is a year-round program. It provides a summer camp for the children so they can connect with the outdoors. The program has weekly weekend outings and retreats throughout the school year for the kids. Project Avary is a community where kids find support with other kids who are going through similar experiences because they have an incarcerated parent. This year’s event promises to be bigger than the last. Your attendance and donation would truly be welcomed. Saturday, Sept. 8, 2018, at 9 a.m. There will be testimonials, music, poetry, spoken word and rapping. Come and meet some of the young adults whose lives have been changed by Project Avary. Please join us by participating in the march and/or donating money.